First create your training, practice and animation sessions here with the software. Second save your session by clicking on video recorder button on the function menu (bottom right). This upload what you have created to your timeline and give you the option to download it. Enter a name that best describes the session_followed by your user name. 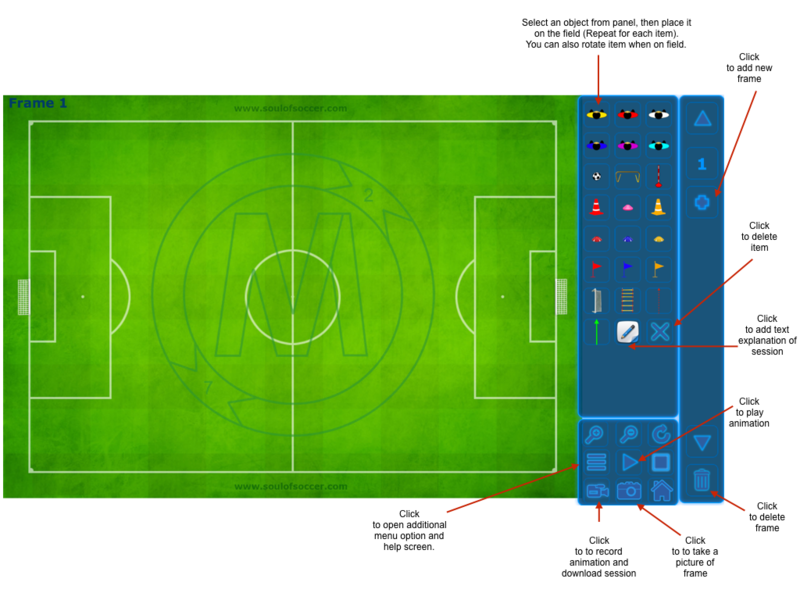 STEP 1: Select an object on the right panel, then place it on the field. (Repeat for each item). – You can delete an object any time by clicking the ‘X’ button on the right panel. That object will be deleted from all frames. STEP 2: Click on ‘+’ icon on the bottom panel to add a new frame. (This shows movement). – Move player(s) or ball(s) in the new frame you have added to show movement of players and ball (in each frame you show the next end position). – Each frame will be linked together when you save it to create your animation. STEP 3: Modify object position and direction by clicking on it, hold the white box to move, hold the red circle to rotate. After that, repeat step 2 for more frames. STEP 4: To view the animation you have created Click on frame (1) on the bottom panel to select it, then click the play icon on the bottom left to start the animation from frame (1). Click the ‘Help’ button again to close this instruction. You can delete current selected frame by pressing the trash bin button on the bottom panel. You can add an object any time. That object will be added to all frame. You can delete an object any time by clicking the ‘X’ button on the right panel. That object will be deleted from all frames. You can click on the field and move it to any position you like. Save your session by clicking on video recorder button on the function menu (bottom right). This upload what you have created to your timeline and give you the option to download it. Enter a name that best describes the session_followed by your user name. To achieve the soul of soccer ‘FREE’ network all sessions are saved on our servers so everyone can view and use them for ‘FREE’. You can download all sessions directly from the website www.soulofsoccer.com/trainingsessions. You can add additional detail and comments to your sessions at the soulofsoccer website. The load (server) gives you the option to load previously created sessions and edit them or update them (please save edited vision using a different name or adding date at end of name). 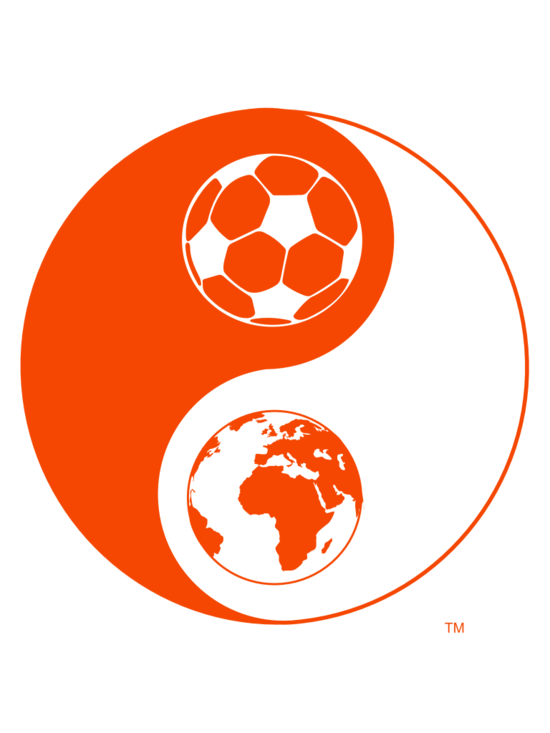 Thank you and we hope you enjoy the soul of soccer community and network. Please send your suggestion or feedback on how we can continue to support and improve your football community.